Emirates Stadium boss handed funds to make significant offer for Uruguayan forward. Arsene Wenger has been given the backing of his Arsenal board to launch a big money bid for unsettled PSG forward Edinson Cavani. The Uruguayan international has long been a Wenger target and the north London side’s healthy financial situation leave Arsenal able to stump up £40m for the former Napoli man and will offer French international Olivier Giroud as a further sweetener into the bargain. Though the 28 year old is close to agreeing a new Arsenal contract it is believe the intention is to use Giroud as bait in a move for Cavani, a move that the former Montpellier man may well be tempted by. Wenger had already considered moves to replace Giroud with Cavani and the lengthy injury suffered by the Arsenal man has hastened the Arsenal manager’s desire to secure a deal that would see the South American move to the Premier League side. Though Wenger would be keen to secure a deal in January he may concede that such a transfer is far more likely next summer, even more so if PSG fail to retain their Ligue 1 title. Laurent Blanc’s side have won just three of their opening eight Ligue 1 fixtures and find themselves in fourth spot, with Marcelo Bielsa’s Marseille side beginning the campaign in emphatic fashion. 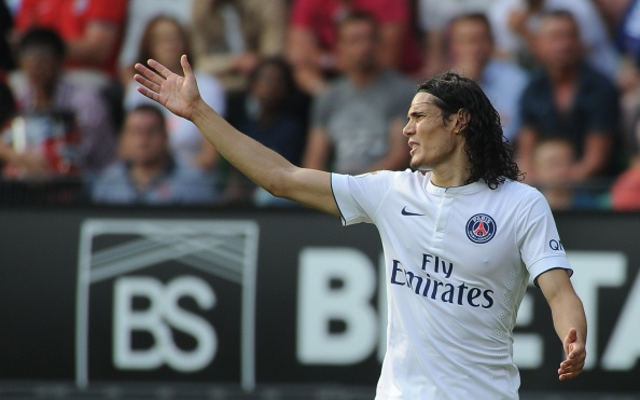 Cavani is said to be unhappy with his role in PSG’s attack, frequently used in a wide attacking role whilst playing second fiddle to Swede Zlatan Ibrahimovic and the player’s agent has apparently encouraged Arsenal to launch a formal bid for his client. Though Wenger has brought in Alexis Sanchez and Danny Welbeck to strengthen his attack he primarily sees the pair as wide options, not least as Lukas Podolski continues to struggle to make an impact whilst Theo Walcott has been out injured for the best part of nine months. Cavani netted 104 goals in three seasons in Naples and has racked up 29 goals in 51 appearances since moving to the French capital.